Spring or Early Summer for the flower fragrance in the air! We are comparing Wine Tasting Tour and Countryside tour to Grasse, Gourdon, Valbonne Prices from leading ticket suppliers and Try to find you Cheap tickets prices on the market. Escape the city of Nice for the day and see the French Riviera countryside and its picturesque towns and villages as you travel past vineyards, fields filled with flowers, the Loup River, and rocky headlands with beautiful views around every corner. The picturesque town of Grasse with its delightful cobbled streets is the perfume capital of France and the scent of orange blossom, jasmine, and mimosa is all around. Valbonne is a medieval town that has become a treasure trove filled with art galleries, craft stores, quaint boutiques and gift shops as well as an array of traditional cafes. 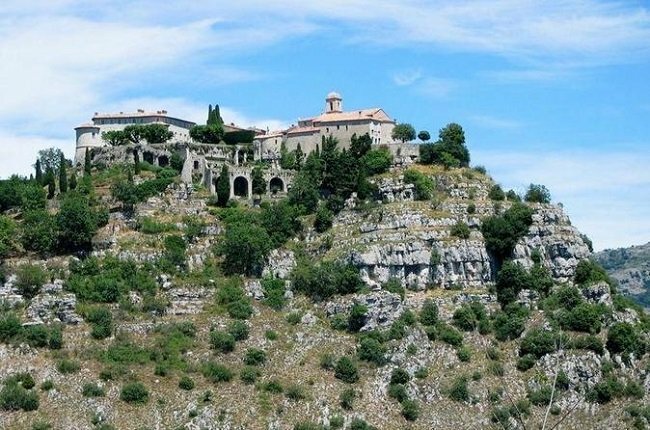 Gourdon is a hillside village with wonderful views over the Cote d’Azur’s coastline that can be admired from its viewing platform and Château de Crémat is one of the smallest wineries in the whole of France located on a site that dates back to the Roman invasion. Perfect for people who like sightseeing and learning about new places, as well as experiencing new things. The small group allows for an intimate experience getting to know your guide as well as your fellow passengers. The tour is best for adults whether couples or friends as the kids may become bored at the perfume factory and wine tasting. If you do a similar trip with a visit to the Eze perfume factory you might become bored with the similar Grasse perfume factory tour. Your Experience With Wine Tasting Tour and Countryside tour to Grasse, Gourdon, Valbonne ? You will be collected from your central Nice hotel in the morning by a friendly local driver/guide who will drive you around the French Riviera countryside in a comfortable minibus with a total of 8 participants on the small-group tour. Heading inland from Nice, the first stop of the day is at the delightful Provençal town of Grasse where you will enjoy a walking tour before going to the Fragonard Perfumery to learn how perfume is made. You will then get back in the minibus and make the short journey (less than 30minutes) to the medieval village of Valbonne. Here you will be able to stroll the narrow streets and will have time to stop for lunch and browse the boutiques. After a scenic drive past the Loup River you will arrive at the beautiful village of Gourdon where you can admire the Cote d’Azur from the viewing platform. The last stop of the day is at Château de Crémat, one of the smallest wineries in France, where you can enjoy a wine tasting session and learn about the local Bellet wines. What Wine Tasting Tour and Countryside tour to Grasse, Gourdon, Valbonne Includes? Travelers Reviews about Wine Tasting Tour and Countryside tour to Grasse, Gourdon, Valbonne ? Travellers talking about this trip on Viator and Tripadvisor are thrilled with their trip and give it top ratings and reviews. Everyone agrees that the tour guides being so friendly and knowledgeable are what make this trip special and they're amazed at the breathtaking scenery they get to see. They say that the visit to The Perfumery is fun and a great learning experience and that the wine tasting is also good, though short, and not just an opportunity to sell the wines! Visitors have said that there was ample time for them to explore the towns/villages, lots of opportunities to stop on the journey and take photos and even the option for extra unscheduled visits if the weather was too bad to wander the streets or if all of the group agreed that didn't want to do 1 thing but wanted to see something else! Travellers say that this day trip was one of the highlights of their trip and they highly recommend it to others. Notify the booking company if you require wheelchair assistance at time of booking. Take a packed lunch with you if you don't want to spend money at a restaurant or cafe. Collection from Central Nice hotels or a Central Nice meeting point.